Most of us have seen Google's offices, with the quirky ladders between floors and those now-iconic slides. What a great place it must be to work! 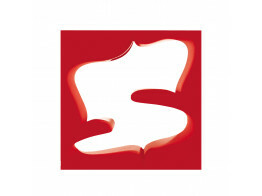 Now Apres Furniture is giving you the opportunity to provide your employees with fun breakout furniture. Differentiate your office with high quality break time furniture and recreational facilities. Not only will quality alternatives to the coffee machine and canteen boost staff morale, it will help you to attract high quality prospective employees. Working in an office is all about balance. That's why break times are a legal requirement. Providing staff with recreational facilities can be almost as important as an office desk and work equipment. Giving employees the opportunity to spend quality time together with the introduction of fun breakout furniture - even for a short while - will likely lead to better staff engagement and a higher level of productivity when work recommences. Whilst we don't all have time to go to the gym at lunchtime, how about a quick game of Lazy Basketball to get those endorphins flowing? Get the whole office floor involved with a Lazy Football tournament where just about anyone can play and have fun, even for just a few minutes, and reap the health benefits of fun breakout furniture solutions. Taking regular breaks at work should mean exactly that: a break away from working. 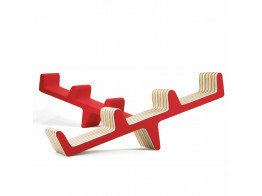 What better way to do that than with fun breakout furniture for your office? 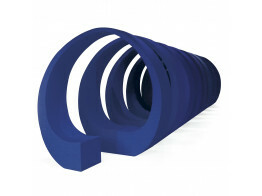 EJ 2800 Seesaw creates fun and a relaxed environment for communication and very informal meetings. Double You Seating Solution Skater provides the modern office with a bit of fun. 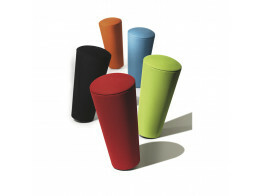 Stand-Up stools can be used in an office, breakout areas and for presentations. 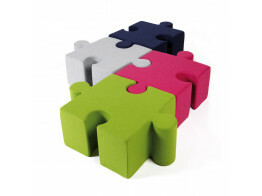 Combine as many BuzziPuzzle Stools as you like to create unique an colourful seating solutions. 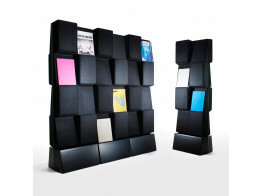 Window Magazine Display is an sound-absorbing wall, free standing or mountable. 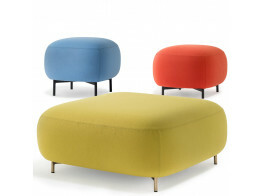 Buddy Poufs is a family of fun upholstered low seating elements. 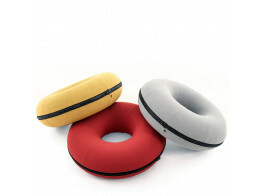 Giant Donut Pouf is a fun fictitous polyurethane seating solution for breakout spaces.